$986 off MSRP! Experience the difference at Ray Brandt Mazda and Kia! $1,069 off MSRP! Experience the difference at Ray Brandt Mazda and Kia! $1,072 off MSRP! Experience the difference at Ray Brandt Mazda and Kia! $1,102 off MSRP! 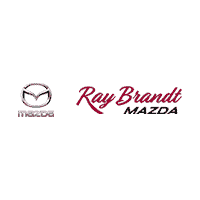 Experience the difference at Ray Brandt Mazda and Kia! OUR VEHICLES ARE PRICED AGGRESSIVELY ONLINE USING LIVE MARKET DATA TO ENSURE MASSIVE VALUE. Experience the difference at Ray Brandt Mazda and Kia! New vehicle pricing includes all offers and incentives. Tax, Title and Tags not included in vehicle prices shown and must be paid by the purchaser. While great effort is made to ensure the accuracy of the information on this site, errors do occur so please verify information with a customer service rep. This is easily done by calling us at (504) 684-7986 or by visiting us at the dealership.